is intended for formers Abu Dhabi World Pro and Abu Dhabi Grand Slams Champions. The Abu Dhabi King of Mats - London will bring from a prestigious list of 35 Abu Dhabi World Pro Champions, the top 30 athletes that will fight for The King of Mat Champion Title selected and invited by the UAEJJF, according to their results in the last 10 Abu Dhabi World Pro editions and representativeness within the sports role model, charisma, posture inside and outside the mats and schedule availability. Weight division may consist of not more than 10 competitors and not less than 6 competitors. 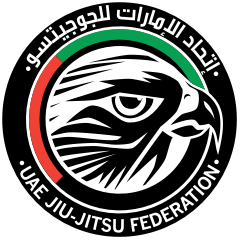 There may be up to two reserves or wild cards (Grand Slams Champions or top UAEJJF ranked fighters) to replace in case of absence of World Pro Champions. The event may consist of not more than 10 competitors. There may be up to two reserves. The podium medalists will receive King of Mats Trophy & Cash Prize. Each contest is to be for 1 round no more than 6 minutes duration, with a rest period of 2 matches between each fight.